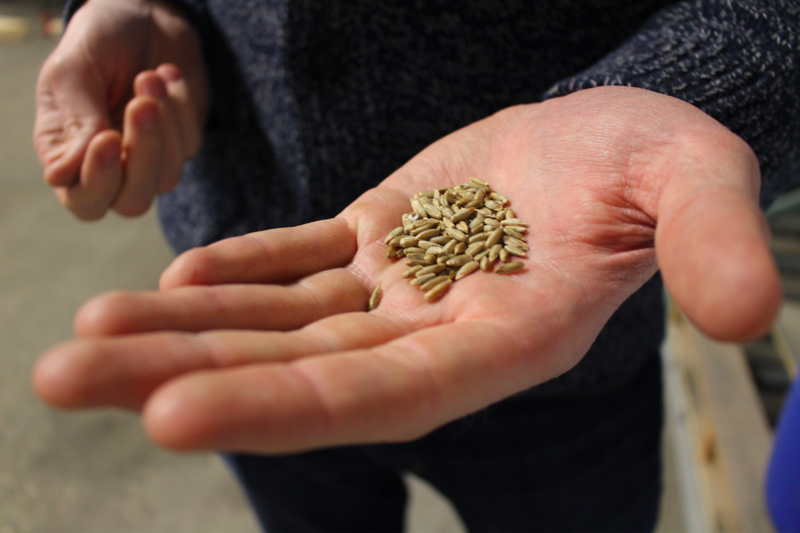 "It all begins here," stated co-owner Brandon Voorhees of Gray Skies Distillery as he cupped a handful of grain during our tour of the facility located at 700 Ottawa in the North Monroe Neighborhood. 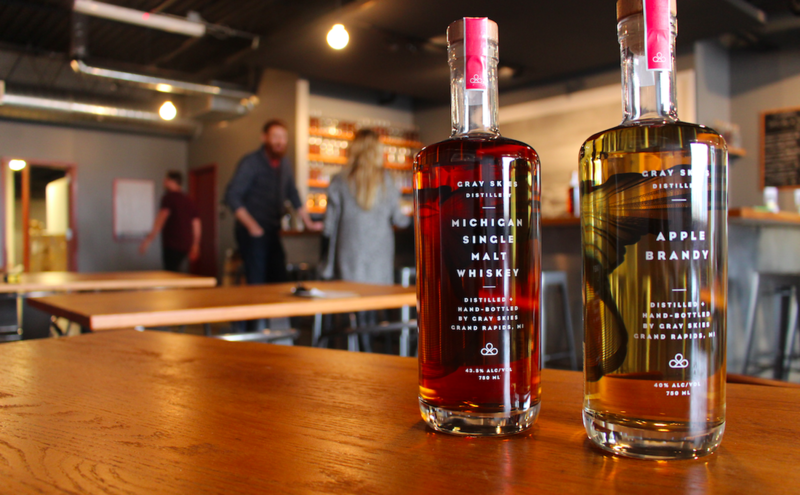 Using quality grains and products, locally sourced whenever possible, their small-batch distillery is pumping out some of the best craft spirits in town. We visited for a sneak peak of their newest line up (Michigan Single Malt Whiskey & Apple Brandy) but we walked away with so much more; a newfound appreciation for the distillation process and their intoxicating passion for what they do... no pun intended. Seriously, these dudes are cool! 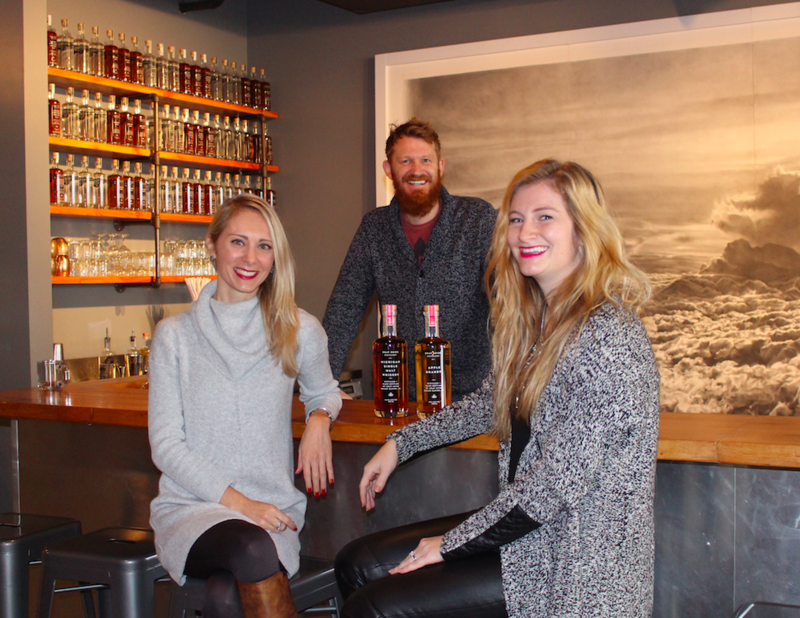 Distilling their spirits in house, "grain to glass," gives Gray Skies the true designation of a craft spirit distillery. From fermentation to distillation you witness the process as soon as you walk in the doors with large glass windows overlooking the production area. Transparency in their process creates a platform for conversation, allowing open lines of communication and education with their customers about what is behind the production of a true craft spirit. Along with the authentic admiration these guys have for their products and the process, the personal connections and education they offer creates the type of atmosphere that the Grand Rapids community prides itself upon - friendly, local, outstanding quality. 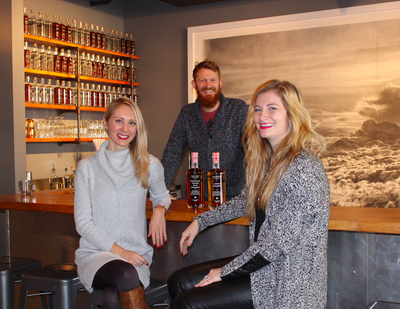 Gray Skies is trailblazing the newest trend in adult beverages - creating craft spirits! With traditional methods, and a touch of innovation, they are producing flavor forward spirits from quality grains you can actually taste. Their Barrel Finished Hopped Gin is a perfect example of their unique twist on an old classic tipping its hat to the well established craft beer scene in Grand Rapids. Proudly showing that their spirits are offering something tasty and new, but also standing up to many well known, national, brands. Our city's fast growing appetite for local has many patrons seeking out smaller brands, items made by actual people using traditional methods and producing amazing products. Gray Skies is doing all of that, and more, all while sharing their delicious labor of love - which is yielding amazing results as Gray Skies spirit line, and company, continues to grow with increasing demand! 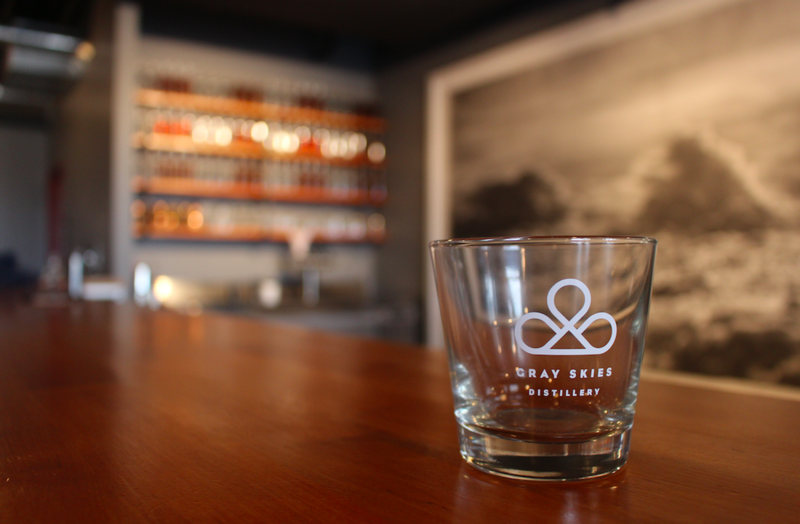 If you're looking to shake (or stir) up your next happy hour or date night, Gray Skies is the perfect spot in Grand Rapids for a unique tasting experience. Learn more below on their two newly released spirits... available while supplies last, so get some before it's gone! Or see the full line of spirits by clicking here. The Michigan Single Malt Whiskey is a scotch style whiskey made from 100% malted barley purchased from Pilot Malt House, one of only four malt houses in Michigan. 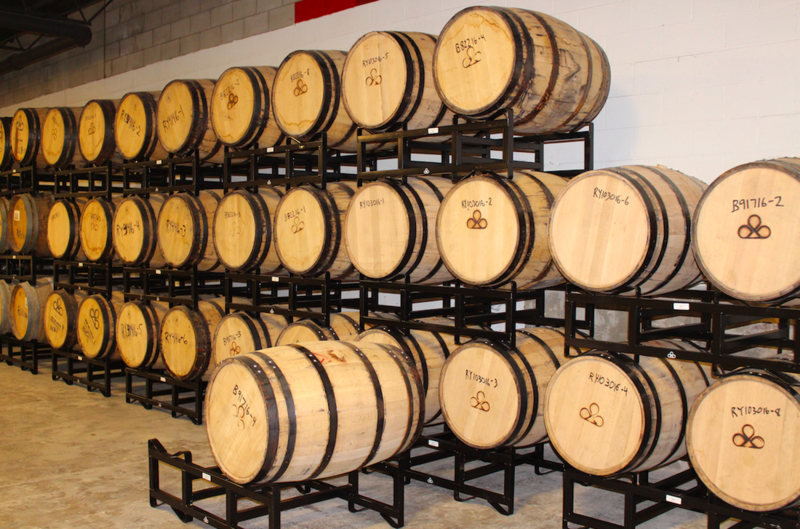 The grains in whiskey were grown, malted, distilled and aged within a 15-mile radius. The 750 ml bottle of whiskey is being offered as part of a cocktail week package for $60, which includes four slate coasters and tasting glasses.